There should be no hard and fast rules about whether to save or let go babies born this early. One factor that was not explored in the article is that it's not gestational age that determines survival. Birth weight is an important factor as well. Birth weight doesn't always correlate to gestational age. And as they said in the article, one can be wrong about gestational age. 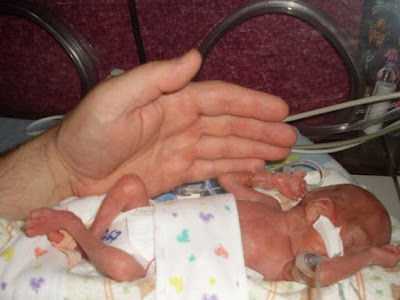 For anyone looking for more information about the fate of extreme preemies, this birth registry tracks the outcomes of extreme preemies.